I am the mother of three adolescent children. Theo, my oldest child, is 20. He was the inspiration for my very first post in this blog entitled “Birth of a man“. I have also written a bit about my 12-year-old son Nicky here, here, and here, and my 17-year-old daughter Bella here, here and here. I grew up in Oregon, the oldest of two girls. 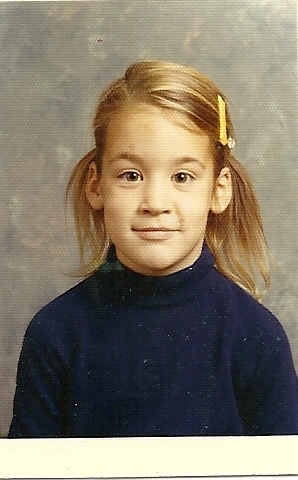 My father was a philosophy professor and also our personal hair stylist. My mom stayed home with us until I was a teenager, at which time she began her career as the director of a hospice, leaving me and my sister home alone after school to watch countless Adam-12 reruns and tons of MTV. I had a carefree, happy, somewhat sheltered childhood. I did not have a religious upbringing, but have always been interested in “God”, spirituality, religion, death and the meaning of my life. In addition to being a mom, I should mention that I am divorced from the father of my three children, and I have a wonderful boyfriend who loves fly-fishing and helps me take good care of my children and myself. I work as a clinic manager in a small primary care clinic with an awesome MD who is one of my best friends and who I sometimes refer to as my “work husband”. I haven’t written about my work in the clinic a lot, but it inspires and informs my writing and my life. I am a passionate teacher and practitioner of yoga. Because I have gone through some challenging times in my life, I work hard on the practices which sustain me including writing in this blog. With misslisted, I strive to be honest, and consistent, and my blog posts can be silly or serious, and sometimes sad. They are often cathartic for me and help me work through things. I started this blog because I wanted to write my own stories about my life, and I thank you for reading and sharing your comments and thoughts. Cute picture! I love it. It makes me want to put a kid photo of myself on my about page. But I won’t be doing that right now. It’s a good thought to carry. Oh my god I love the name Theo! My boyfriend and I always joke about naming our firstborn that. How did you come up with it? I entered a blog reply elsewhere, before I read your profile, and made an assumption which I see was incorrect! I hope I have not hurt you by assuming you were happily married. I’m lucky. We have been married for 53 years, and still going strong! No worries! I was happily married for a long time, and now I am happily in a committed relationship with a great guy! My, you ARE fortunate to be going strong after 53 years, my parents will celebrate their 50th this year and they are still going strong too. I am so grateful for that! Even more in common with the Extended version. I just committed and hit subscribe. I don’t that that lightly. I wrote a post called Ode To The Middle Man that was about my middle boy (20) heading back to college, growing up. My post Ode To Girl Interrupted is about my daughter (22). Little Man (16) has been spared a full blown post yet, but he is featured and embarrassed regularly. Love what you have to say and how you say it. Looking forward to reading back through some older posts. Thank you and looking forward to rummaging around in your blog!